With the beginning of spring season in Pakistan, hot weather is ahead. Soon heat and then humidity during the monsoon season will be draining you out. There are some important things that you can do to prepare your home for the summer. The first thing is to make sure that your air conditioner is in perfect working condition. It's better that you give it an overhaul service. If you still have simple air-conditioner then it may be the right time to start considering replacing it with DC inverter AC. We have written this post due to overwhelming response of our valuable readers on another post on consumer product; Auto Washing Machines i.e. Why you should switch to DC inverter AC? Simple it costs 50% less in terms of electricity costs. Additionally, inverter ACs can easily work in places where voltages are less. It can also work on generators and appropriate solar panels. 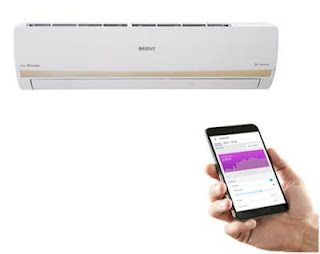 To make it easier for you to choose suitable Air conditioner, we have listed 5 best DC inverter with 18000 BTU (1.5 ton) cooling capacity Air conditioners that you can buy during 2019. 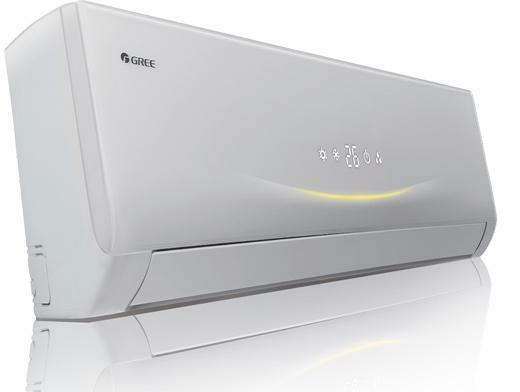 Gree is Chinese major home appliances manufacturer and world's largest domestic air conditioners manufacturer. Gree inverter air-conditioners are most popular inverter ACs in Pakistan. It is equipped with the latest technology to control the speed of compressor motors that regulates power consumption according to changing temperature. It can save more than half of your electricity consumption as compared to normal ac. The sleek and compact design looks great on your wall and its powerful throughput can cool or warm your room quickly. Comes with 5 years standard compressor and 1-year parts replacement warranty, this is a must-have product if you want a high-quality air conditioner. Haier is a rising brand name of home appliances in Pakistan. It is also a Chinese brand. Haier Inverter ACs are also very much popular in Pakistan mainly due to its quality and its network of after sales service centers across Pakistan. Haier claims that it saves up to 66% electricity. It has OneTouch Cleaning function. It has A-PAM DC Inverter Technology, 4-ways air flow, turbo cooling and heating. It has golden fin condenser and evaporator. This AC is specially designed for the people who are looking for the best combination of modern aesthetic and technology in one place. It can save up to 60% energy consumption annually and its mosquito repellent technology will make your environment even more comfortable. The Dawlance Proactive air conditioner can easily work on the generator and there is no need to use stabilizer with it. It can run on low voltage as well as 155V. It is a dual mode (heat and cool). It comes with years compressor and 1 year parts warranty. Known for the quality of home appliances, PEL is back again with a full bang. This Air conditioner is one of the latest products offered by this company. Not only it looks great on your wall but also saves a considerable amount of energy due to its latest technology. It is a high-quality product that will keep your room cool for many seasons to come. 4 ways airflow technology will make the place cold or warm quickly. In addition to that, it saves more than 50% of electricity costs annually. Comes with factory installed Smart Wi-Fi Kit that will help you to keep track the track record of the power consumption. With the help of MEVRIS app, you can even manage the schedule of turning it off and on. In addition to that, it has 50 feet long air through and operational at even low voltage like 140 volts. To ensure reliability, orient has used Japanese chips that no one else uses. It has beautiful high glossy indoor and big outdoor unit that gives powerful performance all the times. In addition to that, it is made with completely environment-friendly technology.